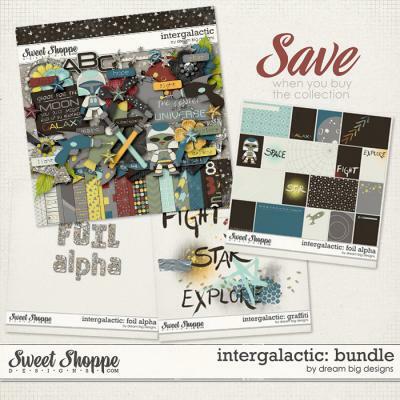 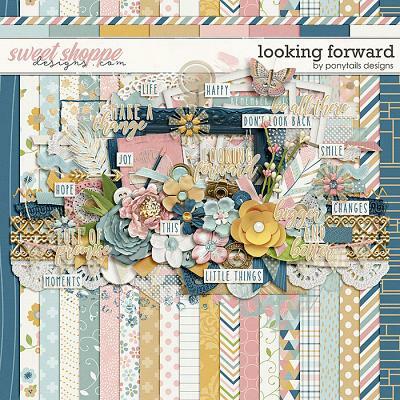 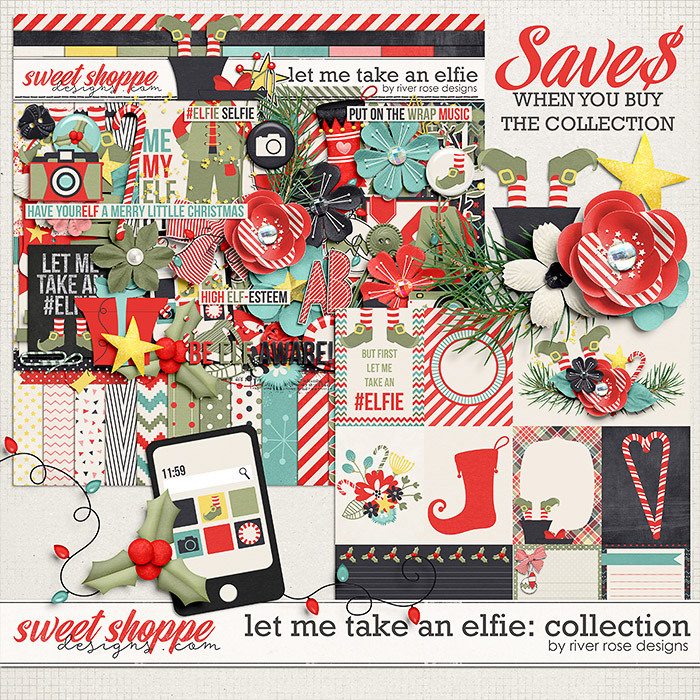 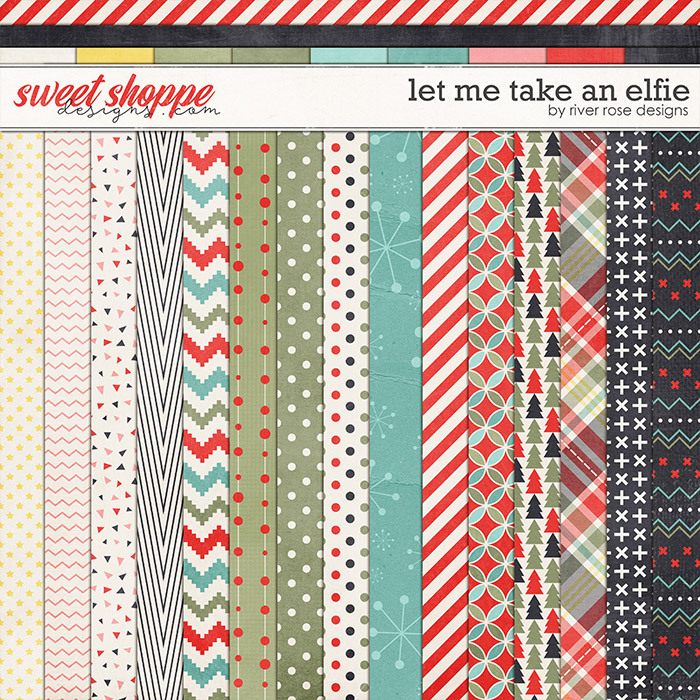 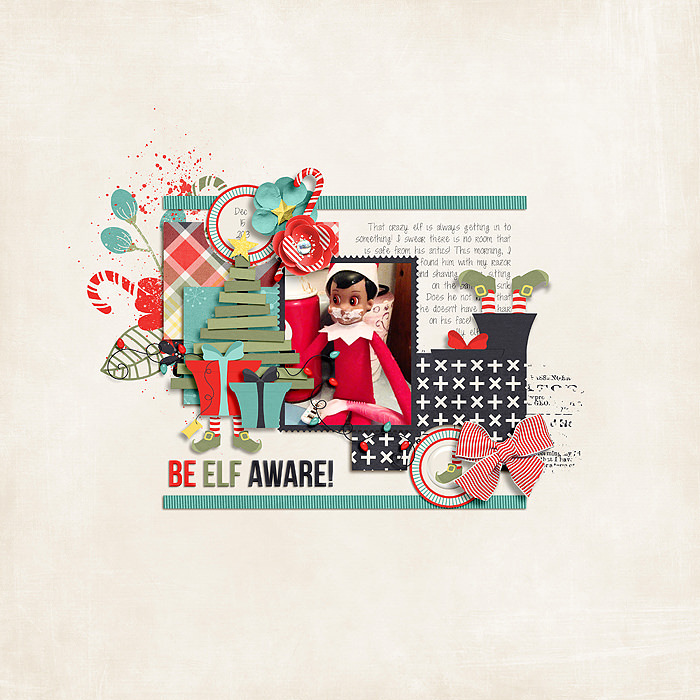 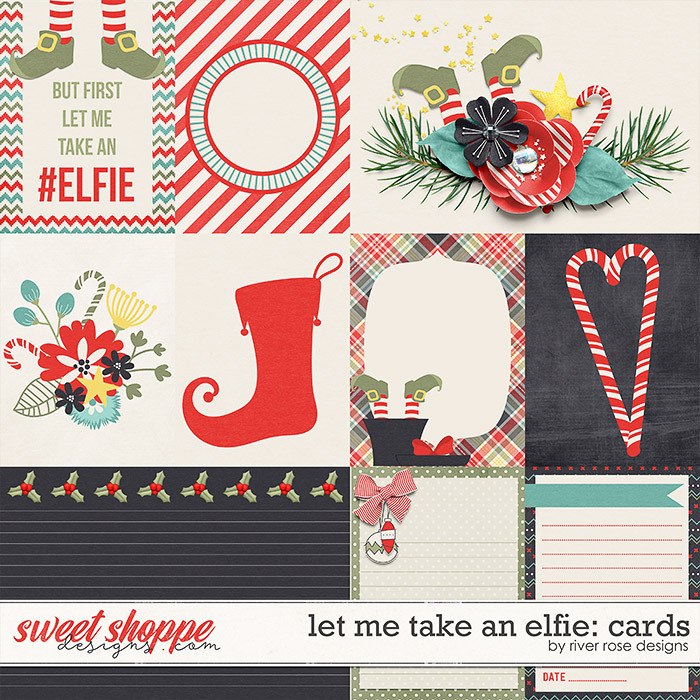 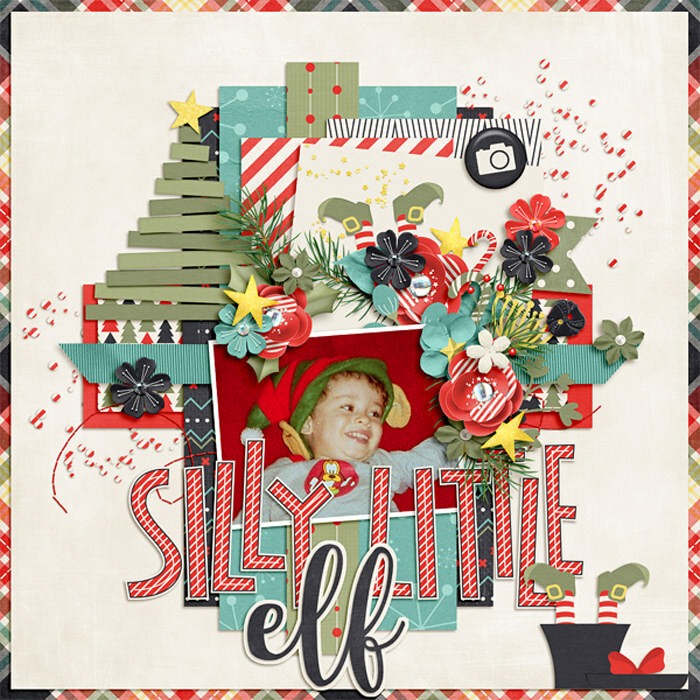 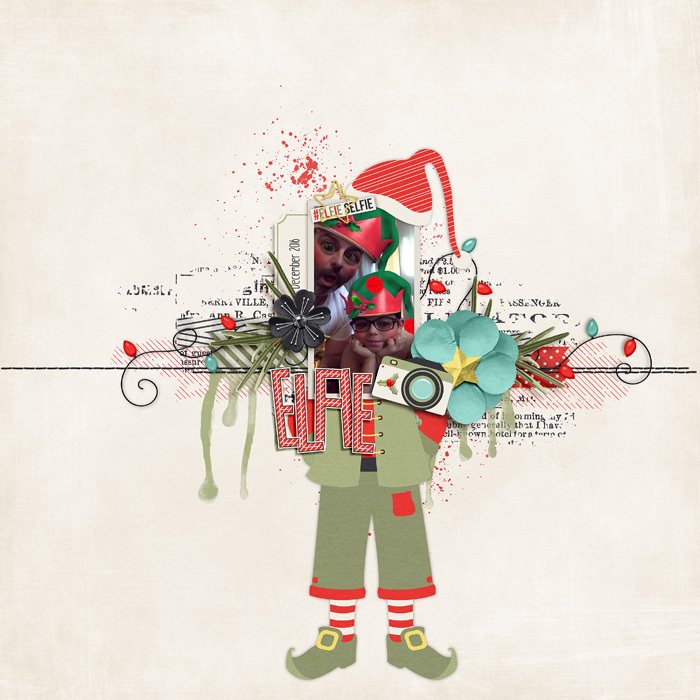 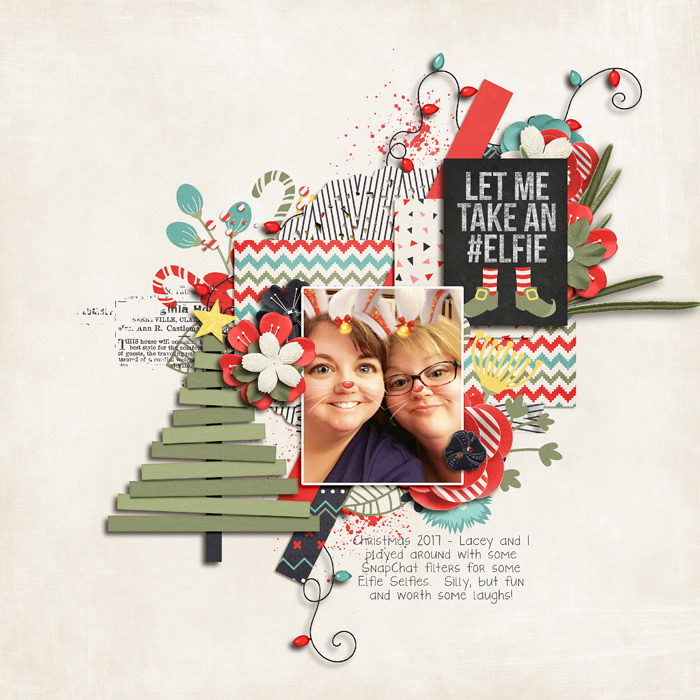 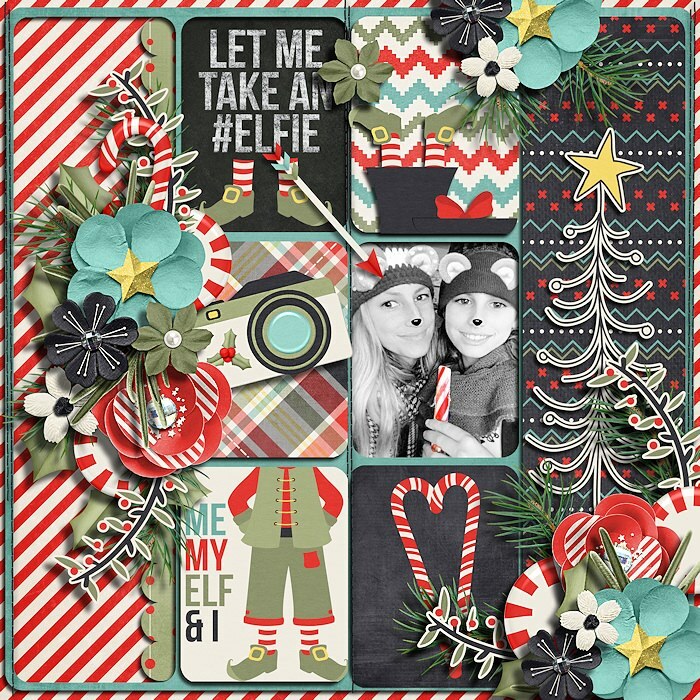 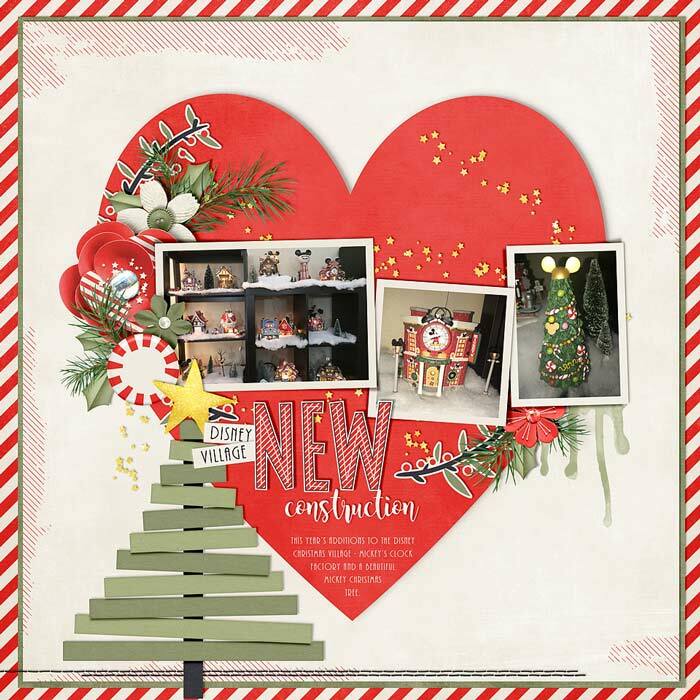 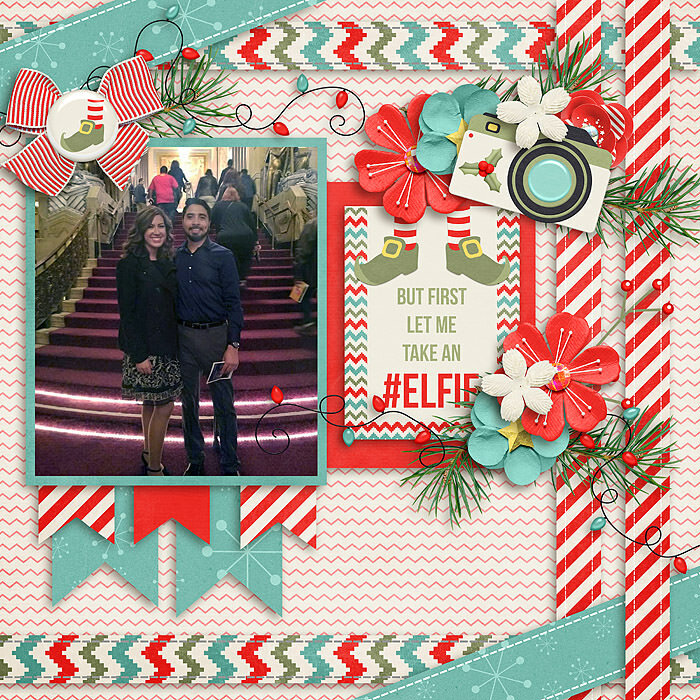 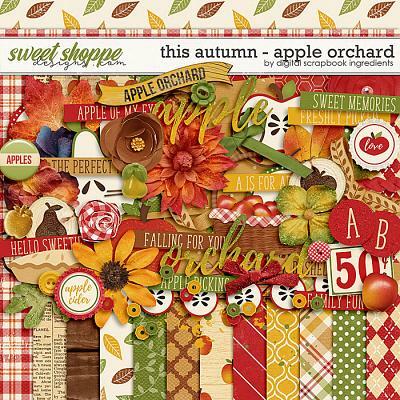 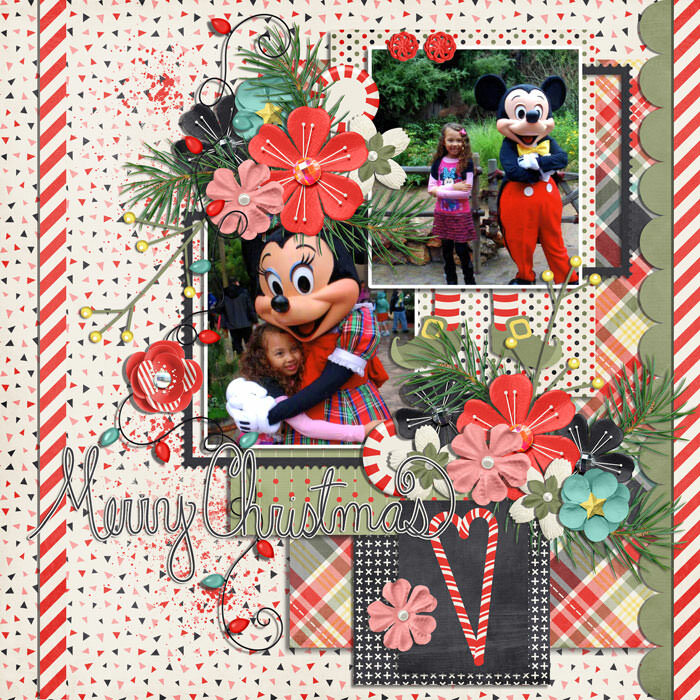 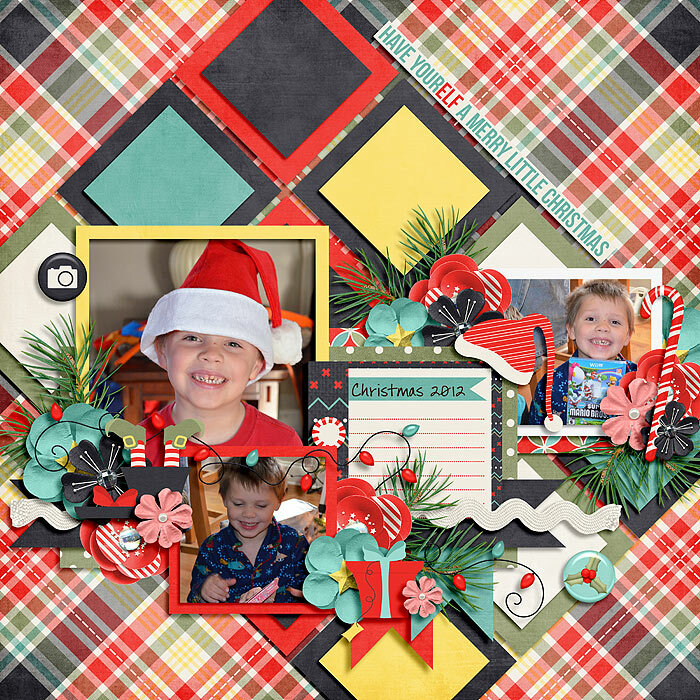 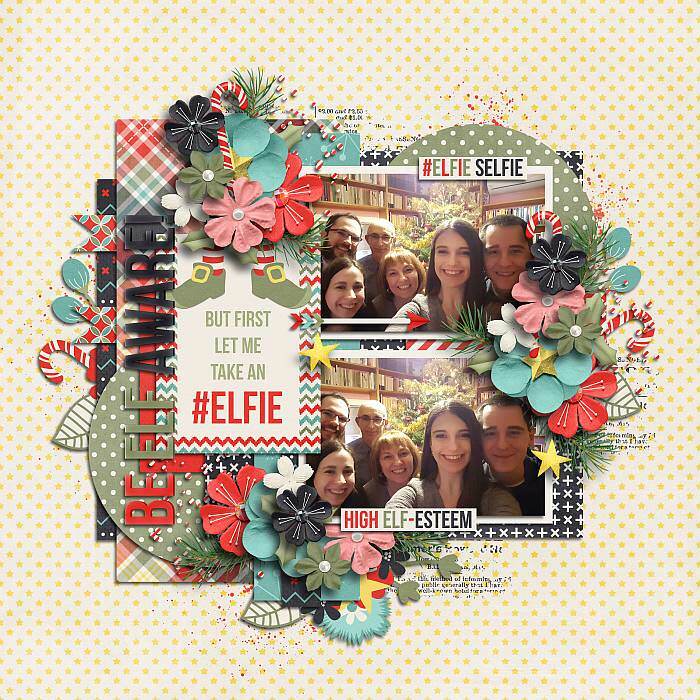 A digital scrapbook collection by River Rose Designs, Let Me Take An Elfie is a fun take on selfies and elves. 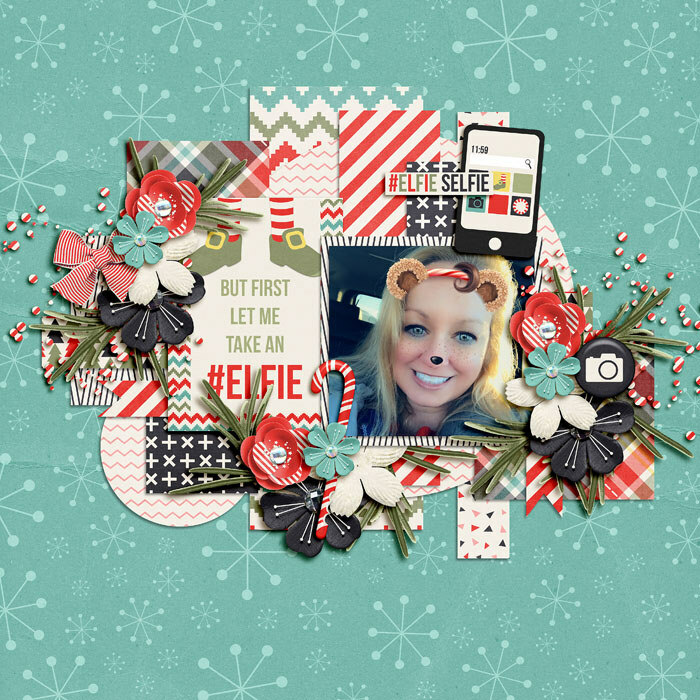 Full of fun elf elements and a variety of cameras, Let Me Take An Elfie will add a humorous touch to your Christmas layouts. 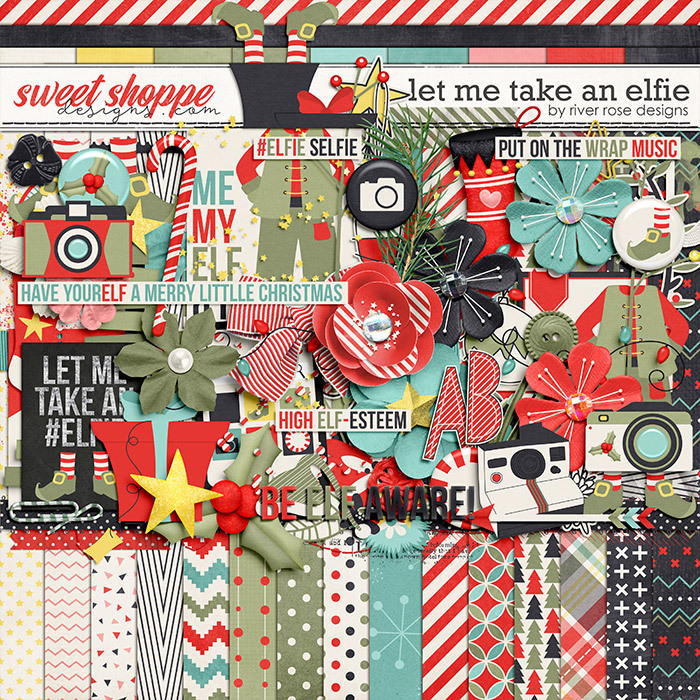 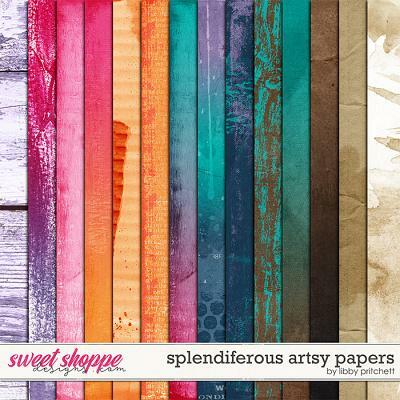 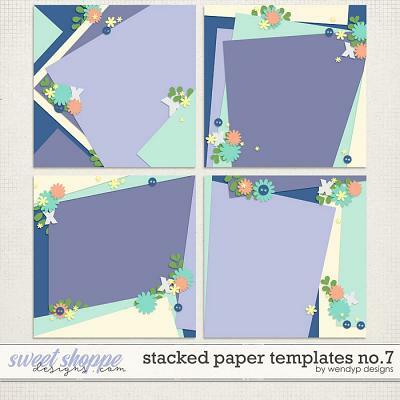 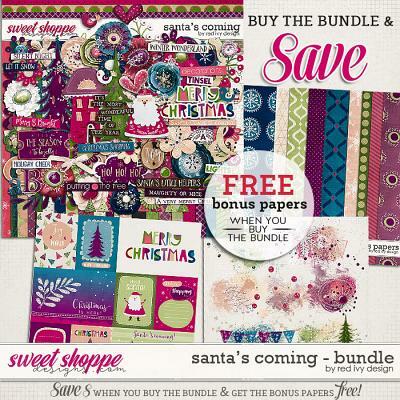 24 background papers (15 patterns and 9 solids), 77 elements including 1 3x4 journal card, full sheet alpha in uppercase letters, arrow, berries, buttons, a variety of cameras, cute elf elements, candy cane, frames, gifts, ornaments, peppermint candy, stockings, trees, washi tape, word strips and an assortment of beautiful flowers and foliage & 10 Journal Cards (8 3x4 and 2 4x6).